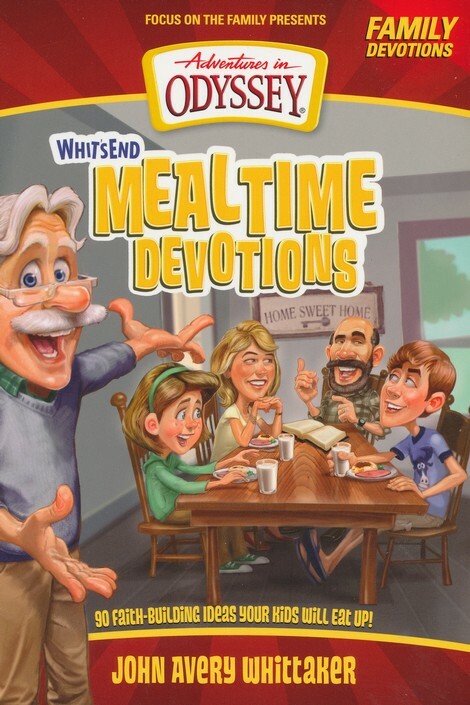 Focus on the Family presents Adventures in Odyssey, Whit’s End Mealtime Devotions is written for parents to sit down and bring back family mealtimes and to make memories that their children will remember for a lifetime. Some parents struggle with having enough time to sit down and have a whole meal with the family. We tend to get so busy that some nights, we’re running around in a flurry to get one child to the baseball game, another child has basketball practice, another has choir practice, and making sure our children finish their homework and study. Meanwhile settling for fast food or a quick meal on the couch just seems flat out easier and quicker. Taking the extra effort to have a conversation as a family could hugely benefit families, if we would be proactive in seeking a deeper connection with our loved ones starting with our mealtimes. The book is themed in five course mealtimes that help children to learn more about God. Each day starts out with a “mealtime prayer”, “appetizers”, “main course”, “table talk”, and “vitamins and minerals”. The book consists of an area to guide you in praying before the meal and some days contain a scripture to pray. Some days encompass games and activities to do with your children and other days have trivia or riddles. Each day has questions to begin an in depth conversation with your children that relate to the Bible. The book has a total of ninety days’ worth of family devotions. The book also has some special devotions for Holidays and themes including, Birthdays, Valentine’s Day, Easter Sunday, Mother’s Day, Father’s Day, Bible Riddles, Let’s Bake, Search for Treasure, and many more. I would recommend this remarkable family devotions to parents who have younger aged children. Older children and teenagers wouldn’t be as willing to engage in some of these activities. If you can get teenagers to participate, all the more power to you! Let me begin by saying, I’m only twenty-two and I don’t have any children yet. So I couldn’t personally converse and complete the activities in this book. But I am planning on using this family devotional whenever I have children. My parents also raised me with eating meals together every night growing up. This is one thing I am passing down. I truly trust that this book will influence and help your children in learning about Christ. I loved the concept of praying before the meals and the different ideas the authors had on who to pray for. On one day, they suggested that you have your children identify missionaries that they personally know and lead your children in praying for their safety and family. I also enjoyed how the author wanted to make sure we taught our kids gratitude and being thankful for what God has blessed us with. The authors used Luke 17:12-19 to illustrate this point. Jesus healed 10 people who had leprosy and only one thanked Him. They wanted us to convey to our children to be hands-on in saying thanks and telling people how they have impacted us and we appreciate them. The authors encouraged to as a family to write a thank you note to someone and share with them. I personally believe that this could easily help our generation, if we voiced more encouragement and gratitude on the things we have been blessed with instead of always wanting more. The devotional has some funny activities that such as, “King of the Mountain”. This one is geared towards teaching your children the Ten Commandments that God gave to Moses. This activity allows your children to come up with ten new rules for your family and I can only imagine what some children would say. I especially loved the different games the book had. One of the days had a game called Truth or Consequences and it recommended dividing the family into two teams and playing a game of true and false about anything. And it also discusses excuses or lies you have heard and the importance of honesty. This book would aid and clarify our children’s values and it lets us have a glimpse in their world. I immensely loved the different Biblical questions, trivia, games, scriptures, and prayers presented in this book. I really believe that mealtimes is extremely significant in relating and connecting with our children. This small act can plant a small seed in their heart that will support our children in learning about Christ from an early age. The theme section devotions will require parents to plan ahead of time for the special activity. One of the days had a treasure theme and it encouraged parents to hide a Bible, memory verses, a picture of your family, a new cross or Bible verse necklace or bracelet, and anything else you can think of to impact your child on their spiritual journey. You can also design a treasure map to discover the hidden treasure. This activity seemed like it will be a fun filled day that would create memories and assist you in bonding with your children. I wish my parents would have thought of doing this neat activity when I was a child. These devotions will plant the starting foundation of a relationship with Christ and I highly recommend it! 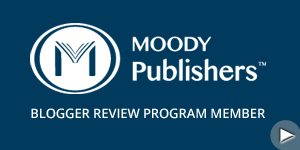 “I received this book for free from Tyndale House for this review”. Tyndale House has also graciously provided me with a free copy to give away to a lucky reader. Giveaway is open to residents living in the United States only. For a chance to win a copy please fill out the Rafflecopter Widget. We did read devotions with our kids, sometimes at dinner. Pretty portion of content. I simply stumbled upon your website and in accession capital to assert that I get actually enjoyed account your weblog posts. Any way I will be subscribing in your augment or even I success you get admission to constantly quickly. so now i am following you. Look forward to looking over your web page repeatedly. helpful & it helped me out a lot. I'm hoping to offer something again and help others such as you aided me. ..than women are of submitting images of on their own inside the "Women looking for Men" forum? I loved aѕ much aѕ you'll receive carried out right here. The sketch is attractive, your authored subject matter stylish. nonetheless, you command get got an shakiness over that you wish be delivering the following. unwell unquestionably come further formerly again since exactly the same nearly very often inside case you shield this hike. sectors it can. # 3 You can also try defragmenting your computer to free-up some room. I bought a copy of Windows 7 the moment I might. so much approximately this, such as you wrote the ebook in it or something. that, that is wonderful blog. A fantastic read. I'll certainly be back.